I visited San Diego this past weekend for my friend’s 30th Birthday. 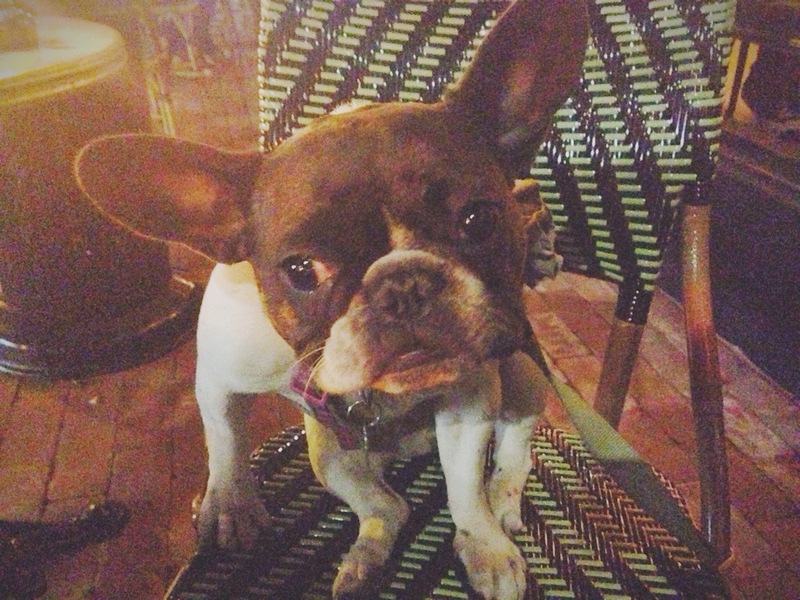 On Sunday I had drinks with friends at Polite Provisions – they recently added a patio so Lily could join! 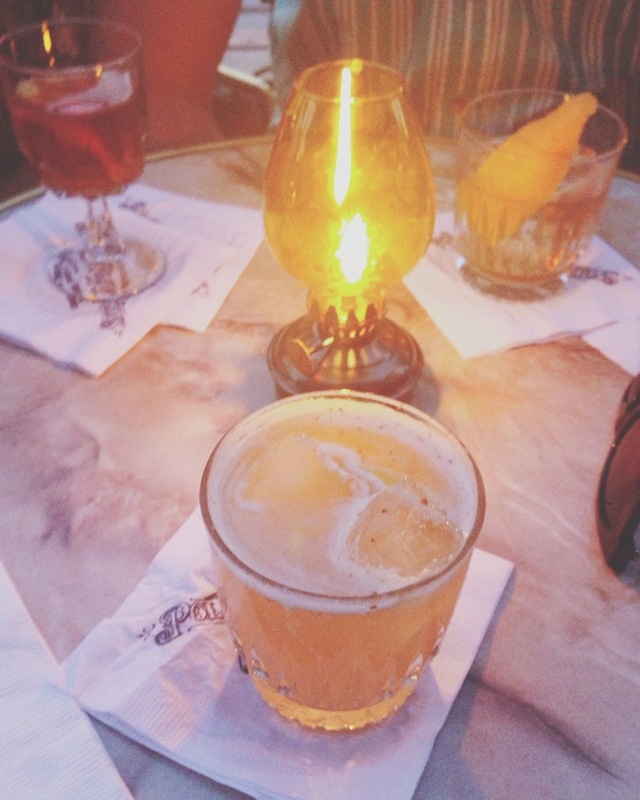 Their Rye Old-Fashioned was delicious – as was the drink below but the name slips my mind. They also serve punch bowls, phosphates and a large selection of wine/beer. 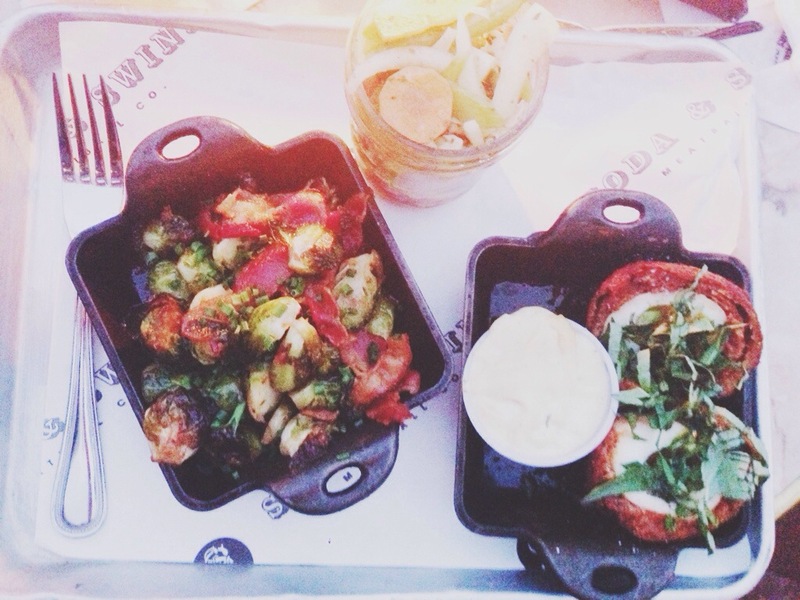 Next door is their sister restaurant Soda & Swine and they deliver to your table. They serve meatball sliders but I’m starting a juice cleanse today so I had to stick to the veggies. The Brussel Sprouts and Scotch Egg were both very tasty. The side of pickled veggies added a nice fresh kick to the meal.